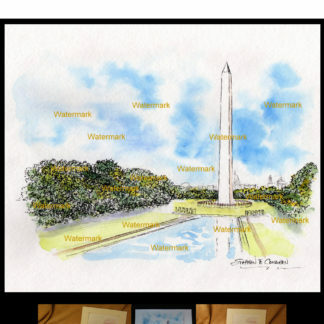 Washington D.C. #018Y landmark watercolors are cityscape monument paintings with prints and JPEG & PDF image scans for reproductions with a 20% off coupon by artist Stephen F. Condren, BFA-SAIC. Landmarks are big, because they are buildings that hold many people. 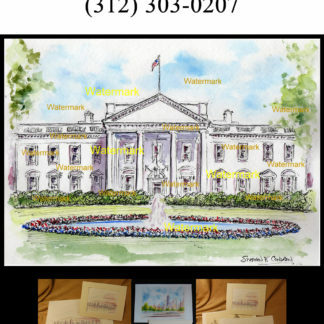 Most of the landmarks are designed for school children and large tour groups. Most importantly, safety rules are in place for hazardous conditions. 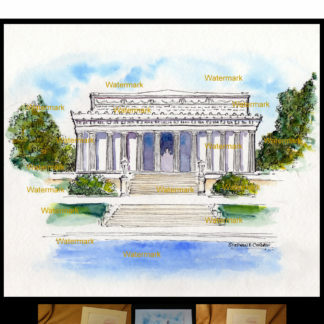 Because landmarks are educational, children learn the most. 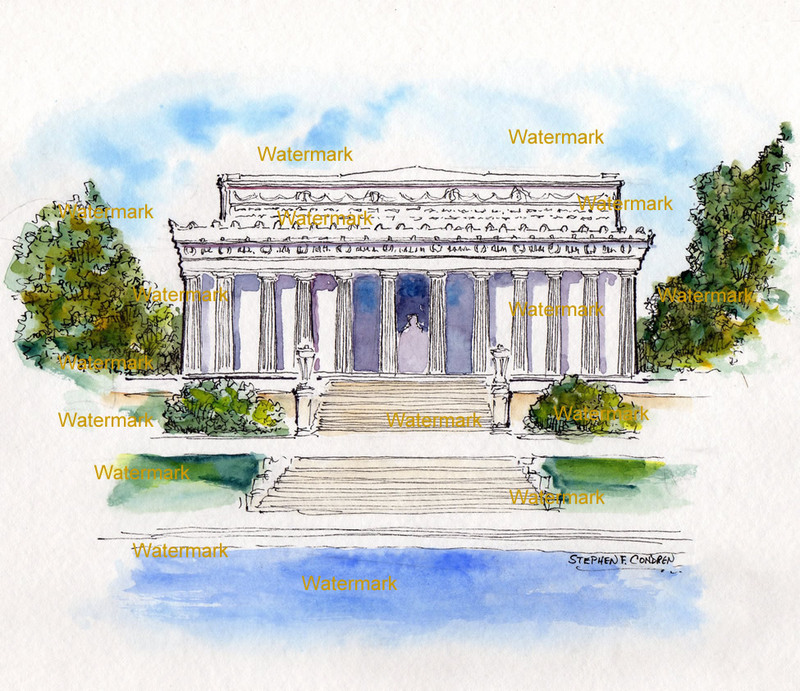 Watercolor painting of the Lincoln Memorial by artist Stephen F. Condren.